The American-made Pacemaster treadmills have been around longer than most treadmill manufacturers. 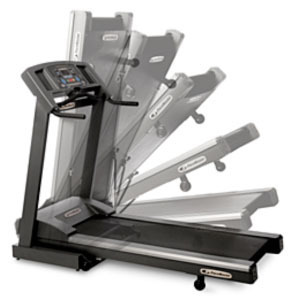 Since the 1960s, Aerobics Inc has been building these quality treadmills and is known to put out what is regarded as the best fold-up design in the business. Pacemaster treadmills are not known to be snazzy machines. With this company, it’s all about quality components and engineering so don’t expect the kind of gorgeous display console found on other brands which seem to have the attitude that it’s better to look good than to feel good. Indeed, these aren’t the best lookers but they deliver performance and reliability, and that’s what you really want in a treadmill. As a bonus, Pacemaster has lowered prices this year yet still keep the incredible quality, even though they are competing against cheaper imports. Pacemaster offers a handful of models designated simply as Bronze, Silver, Gold, and Platinum, and price them from $1,699 to $2,499. The treadmills have sophisticated electronics, 3 hp continuous duty McMillan motors, negative decline, big user weights of 350 to 400 lbs, 56" and 60" running decks, stretch resistance 10,000-mile belts, and more. Since they’ve been around for 40 years, you get the idea that Pacemaster stands behind their products which are built to last. 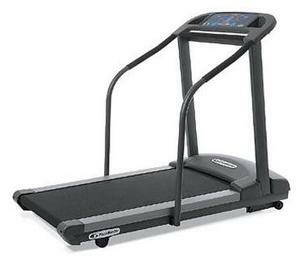 They get rave reviews for economical prices, and they score high in all categories from pro reviewers who like the quiet ride, powerful treadmill motor, roomy deck, cushioning, simple programming, solid warranty (lifetime frame; 12 years motor; 5 years on parts), as well as overall quality. There’s very little criticism of the machines beyond personal aesthetic preferences. UPDATE: Pacemaster is no longer in business so you won't find any new models for sale. Take a look at NordicTrack and Sole for similar options. Interestingly, it looks like the website is back up and running as of 2018, with a number of treadmills, bikes any other cardio equipment featured. But there is no phone number listed and no way to buy anything, so perhaps it's just going through some sort of transition. We'll keep you posted on this one, but for now it doesn't look like Pacemaster treadmills are being sold. We’ve mentioned that Pacemaster treadmills have come down in price, but here’s another interesting selling point: the company offers a “$300 Trade-up Offer” for current owners. Pacemaster is one of the few companies that strive to retain its customers for life, not just for a one-time purchase. These are high quality, very affordable machines that have a great track record for low maintenance and attentive customer service. Pacemaster doesn’t recommend internet purchasing of their equipment but advise you to go through a local authorized treadmill dealer in your area. Following are some of the popular Pacemaster treadmill reviews, with more in-depth information, specs and pricing data to help you make a more informed decision. Pacemaster Gold Elite VR Treadmill - High ratings for roomy walking area, challenging programs, noise level, cushioning, power, quality components and overall value. 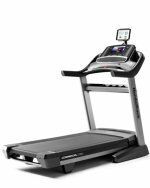 Pacemaster Platinum Pro VR Treadmill - Rated highly in reviews in virtually all areas including noise level, cushioning, power, ease of use, programs, warranty, and dollar value.